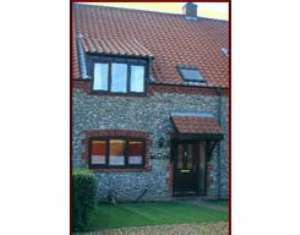 Hartswood Cottage is a comfortable 4 star self catering cottage sleeping five. There are three bedrooms each well furnished, one with king size bed, one twin and one single room. Weekly bookings are Friday To Friday with short breaks sometimes available. From the main A148 turn into Bodham, about 100 yards down turn right at the Red Hart pub, into Hart Lane; Hartswood Cottage is approx 100 yards along the road on the right hand side.